Sometimes the best things are the most simple. 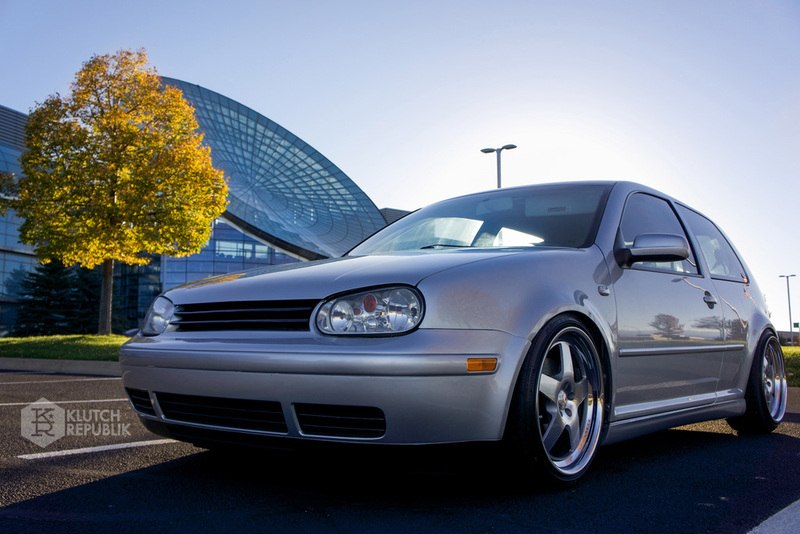 Our customer Logan had just that in mind when he built this clean Volkswagen MK4 Gti. He decided to go with the Klutch Wheels SL5 in silver with stainless lips. 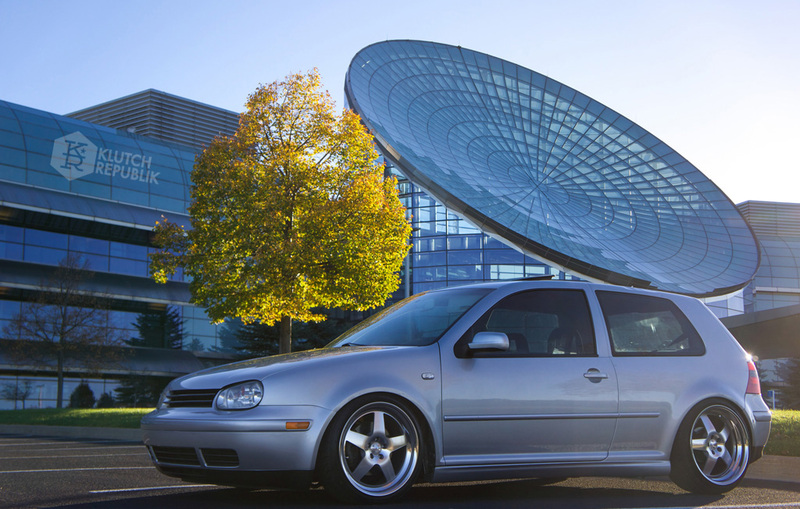 Wanting the more aggressive rear he went with the staggered setup at 18×8.5″ front and 18×9.5″ rear. The standard fit was not aggressive enough for Logan so he sourced spacers for the font and rear making the final offset 30mm front and 14mm rear. The suspension was dialed in using a set of Koni Yellow Coils, and the result was a stunning and simple package. Note that on some cars spacers may be required to clear suspension and calipers. Be sure to contact us with any fitment questions.